Carolina One, Charleston's #1 Real Estate Agency, also offers home financing! 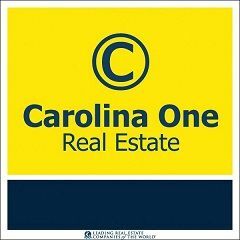 Carolina One Real Estate is Charleston's number one real estate agency and is ranked #39 in the US out of 80,000 real estate agencies. While the Carolina One name hasn't been around for long, our company has been in business in the Charleston area for over 40 years. Most people still know us as Prudential Carolina, but we gave up the Prudential franchise in May of 2008 for our new locally owned company, Carolina One. The professional agents and management that have made this company so reliable and trustworthy over the years are still working together to make Carolina One the most successful real estate company in Charleston. Carolina One Sells Half of the Homes in the Charleston MLS! That's right! Last year we were responsible for half of the homes that closed on the MLS and successfully helped over 8,000 clients buy or sell their home in Charleston. This success was built by providing our clients with the best service possible so that each of our clients then refers our Carolina One agents to their friends and family. We focus all of our efforts towards the ultimate goal of selling your home while making the process as stress-free as possible. 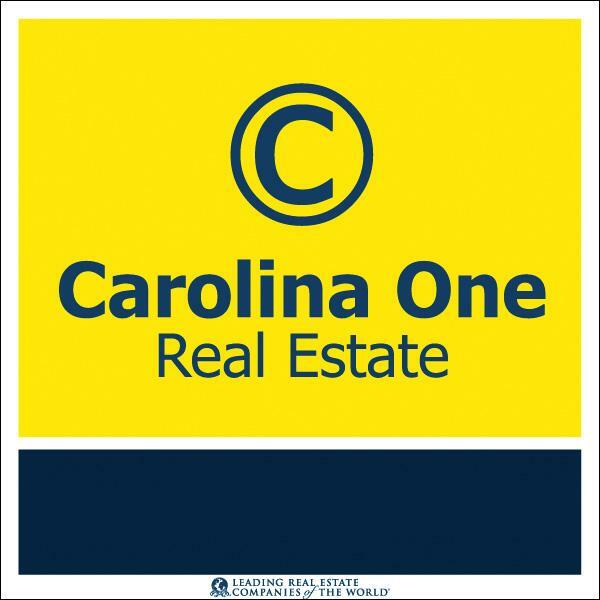 Why list your home with Carolina One? Six out of ten Carolina One listings are sold in-house! This benefits you as a seller because you'll have more opportunities to sell your house to one of the many thousands of buyers represented by our agency. Let us help you research your home's value! We will do a free, no obligation market analysis to tell you what your home is worth on today's market. Along with the recent name change from Prudential Carolina to Carolina One, we have incorporated our own mortgage company to better serve our clients and to provide a one stop shop for buying a home in Charleston. Joel Greer is here to answer any mortgage questions that you might have as well as advise you on how to structure your home loan so that you can get the most house for the money. This information is free and can save you both money and time with your next home purchase. Seeking out a local lender early in the home buying process is so important in this market because it gives you more negotiating power with your home purchasing contract, provides you with the exact cost of home ownership, and allows you time to fix any errors that you have on your credit report to save you money on your home loan. Contact Joel at 843-414-2489, or use the contact form below! Q: Why is it important to get pre-qualified? A: There are lots of reasons why this should be one of your first steps, but the main one is that knowing your buying power is integral to the home purchasing process. Before you spend time looking for your new home, you'll want to know what price range you can afford. Pre-approvals also give you a stronger offer when you do find the home of your dreams. Q: Why isn't an online mortgage calculator enough? A: Most online calculators don't include property taxes, hazard insurance, or private mortgage insurance (if applicable). To get a true overall picture of the monthly expenses and closing costs involved in buying a home, you'll want to speak to a mortgage professional. In short, there are more expenses to consider when shopping for real estate than just the monthly payment. Q: What is Private Mortgage Insurance, or PMI? A: Private Mortgage Insurance is required of all loans with less than a 20% down payment. The banks require PMI to insure against default on the mortgage. PMI varies depending on the type of loan and the amount of down payment. The more you put down, the less the monthly PMI premium will be. Q: What are closing costs, and how are they calculated? A: Closing costs are all the fees associated with the purchase of your home beyond the actual purchase price. Some are flat fees, but some are percentages based on the sales price and/or the loan amount. Closing costs vary by state and by area, so you'll want to consult a mortgage banker in the purchasing area for the most accurate estimate. Q: What information is used to qualify for a mortgage? A: Your credit profile, your job and residential history, and your income are all important factors. There are many aspects of your financial history that come into play when qualifying for a mortgage, but you have the final word on whether a certain mortgage is right for you. Q: What information do I need to apply for a mortgage? A: Every borrower is unique, and everyone has different circumstances that brought them to purchasing real estate. However, there is basic information that is nearly always required. This information includes your current credit report which we obtain for you, your last 2 year's W-2s (and sometimes your last two year's tax returns), your last 2 paystubs, your last 2 months of bank statements, and your last quarterly statement of retirement or investment accounts. Q: It seems like you need a lot of personal information. Why is that? A: Keep in mind that a mortgage application is a loan application, so banks decide on your qualifications with risk management in mind. Since most mortgages have a 30 year term, they are the largest and longest term loan that anyone will ever apply for. So, banks like to be thorough. All information is confidential, internal, and is treated with respect. No one outside the loan process will ever see your private information, and your information will never be discussed with anyone other than you without specific authorization from you. Q: Are there different kinds of mortgages? A: Yes. There are four main types of mortgages, with several more options for specific situations. The most used products are VA loans for veterans who qualify, FHA loans that are government backed, Conventional fixed loans, and Conventional Adjustable Rate Mortgage (ARM) loans. VA loans allow up to 100% financing with no Private Mortgage Insurance (PMI). FHA loans allow 97% with reduced PMI. And, Conventional loans allow 95% with full PMI premiums. Q: How do I know which loan is right for me? A: A good mortgage banker will customize your mortgage for your particular situation. How long you plan on staying in the house, your income or employment plans for the immediate future, and the importance of low monthly payments versus low closing costs are all major factors in deciding which product or program works best for you. Fixed rate mortgages are traditionally a more conservative choice, whereas ARMs are riskier but tend to offer lower rates in the early years. Q: What exactly is an ARM loan? Is that the same as a sub-prime loan? A: ARM loans are structured with low introductory interest rates that are fixed for a certain number of years. Then, they will adjust based on an index every 6 months to a year after the fixed period is over. These are not the same as sub-prime loans. Sub-prime loans may have been ARMs, but a borrower's low qualifications are what classifies a sub-prime loan. Q: What affects my interest rate? A: Your credit score, your income, and your down payment are all main factors in the interest rate calculation. You'll get a better rate for your mortgage the higher your credit score, the higher your income is as compared to your monthly debt, and the more down payment you're willing to pay. Q: What is a Jumbo loan? A: Loans are referred to as "Jumbo" when they exceed the conforming loan limits of national regulators. Conforming loan limits are currently $417,000 for most areas. These limits can change yearly, and they apply to Conventional loans and VA loans. FHA loan limits are dictated directly by the government and are often different than the conforming limits. FHA loan limits vary by county and by number of units in the property. Currently in Charleston, Dorchester, and Berkeley counties, the 1 unit FHA loan limits are $302,450. Q: What's the difference between a banker and a broker? A: Bankers work directly for a bank where the decisions are made for qualification and where the money comes from to fund the loan at the closing. Brokers are typically independent agents who sell your application and information to banks for a fee. They have no control over the decision-making process, and they cannot stand by any approvals. They also cannot guarantee funding at closing. Q: Is Carolina One Mortgage a banker or a broker? A: Carolina One Mortgage is a partnership between Carolina One Real Estate and Guaranty Bank. So, the short answer is that we are bankers. However, the benefit of our particular company is that we specialize in partnerships with real estate firms, builders, AND banking investors. So, we have the benefit of a broker's ability to shop multiple products with different rates and requirements, but the stability and reliability of controlling the entire loan process from application to funding. We close and fund all of our loans in-house. A: The closing is the point at which the sale is final. This usually happens in a real estate attorney's office, which is where you'll sign the final mortgage documents. This is also where you'll make the down payment and sign for funding the loan. After you've signed the paper work, you'll receive the deed to the property and the keys to your new home! How Much Can I Afford? ?